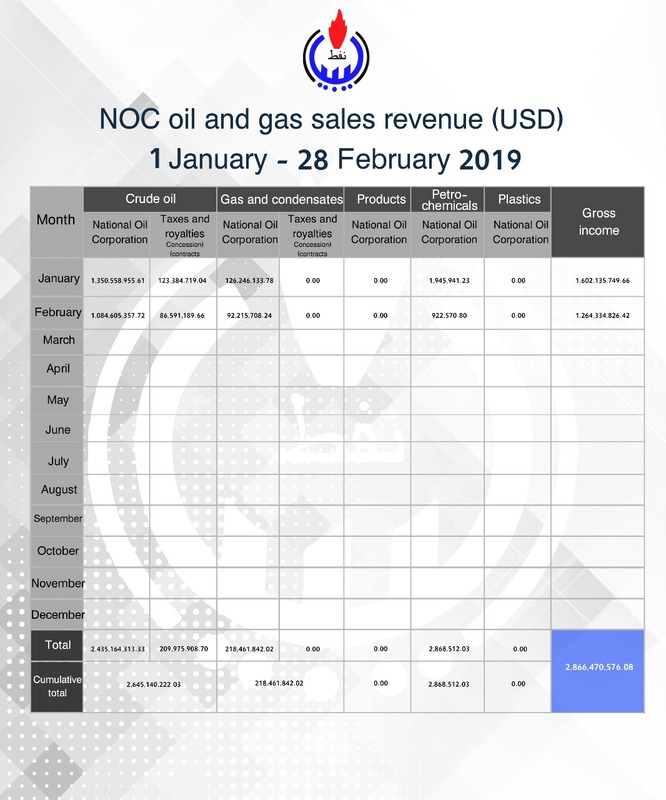 February income from sales of crude oil and derived products, in addition to taxes and royalties received from concession contracts, was $1.26 billion – a more than $330 million (-21%) month-on-month decrease. The drop in oil revenue is attributed to adverse weather conditions affecting exports from the Es Sider port, in addition to the recent armed militia blockade and state of force-majeure at Sharara until March 4, 2019. “February revenues demonstrate the consequence of blockading and a weak security framework on our national finances. Following the resumption of production at Sharara, March revenue is set to rebound strongly. NOC has the ability to increase oil production up to 1.4 million bpd this year – if the security situation remains stable. Production outlook and potential revenue yield are completely attributable to the hard work of all workers in oil and gas sector in Libya. It is therefore imperative they be compensated with the long-standing promised oil sector pay-rise in line with government decree No. 642 of October 27, 2013.